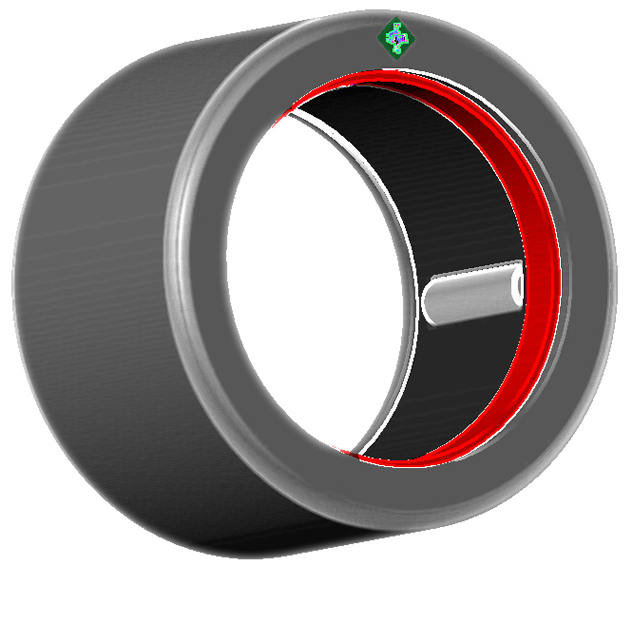 Cadre robuste et fiable en aluminium 1.6061-T6 pour une qualité supérieure et durable. Rigidité maximale obtenue grâce à un grand tube renforcé droit. La suspension arrière est caractérisée par un point de pivot très haut, un bras oscillant long et une absorption progressive. L’axe va vers l’arrière et l’angle de l’impact est grand. Grace à cette configuration les vélos Redalp roulent plus vite à travers des pierres, racines et obstacles carrés. Le guide de chaine articulé ‘pro-motion’ (brevet redalp) résous tous les problèmes liés à un point de pivot haut comme l’allongement de la chaine, couples indésirables, pompage ou encore un retour de manivelle. L’invention d’un rouleau jockey articulé «Pro-Motion» maintient la longueur de la chaine constante et évite un ‘squat’ pompage efficacement. Roulement à aiguilles à friction très basse garantissant une suspension libre et efficace. Etanche contre l’infiltration d’eau et de poussière. Le cadre secondaire en carbone contribue à l’économie de poids et protège l’amortisseur de la boue et de la poussière d’une manière efficace. Moyeu arrière selon standard DH 150x12mm. Since Henry John Lawson invented the chain for bicycles in 1879, this device survived all technical evolution and is still the most common drive train for bicycles. No other solution is as simple, reliable, lightweight and almost maintenance free as a chain. The pedaling power is not wasted and more than 97% is transmitted to the rear wheel. Even in wet or muddy conditions a chain works sufficiently well. Therefore most Mountain Bike manufacturers consider a chain the most appropriate drive train for their bikes. When in the early 80’s suspension travel significantly grew, engineers were faced with a new problem, the problem of the chain growth. 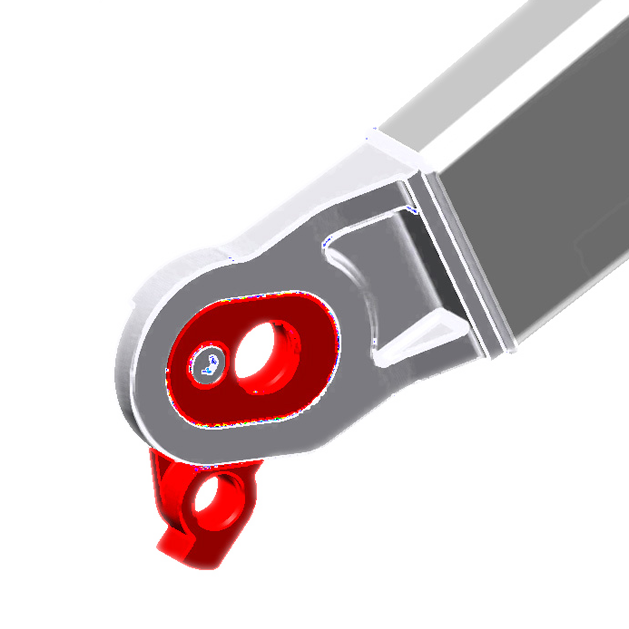 They realized that the pivot point location can’t be chosen for optimal suspension travel but is constraint to the upper chain line in order to avoid chain growth. Whether it is a virtual pivot point (VPP) or physical pivot point, the location needs to remain low. A low pivot point slows down the bike riding over rocky sections or roots, stresses the rear triangle (illustration 1; angle, stress) and the rider does not feel comfortable or can crash. Creativity was required from all the different bike designers around the world. It is possible to move up the pivot to a certain point, as long as the rear derailleur is able to compensate. For more innovative bike manufacturers that was not enough and they put the pivot point even higher. Trek, Ellsworth, Corsair, Morewood, BM, 2Stage and many others moved up so high, so that a jockey wheel for the chain (illustration 2, picture of bike) became a requirement. Fantastic working rear wheel suspension was achieved but another problem came up, the problem of squat. We all know this embarrassing rear suspension movement while the rider is pedaling hard. 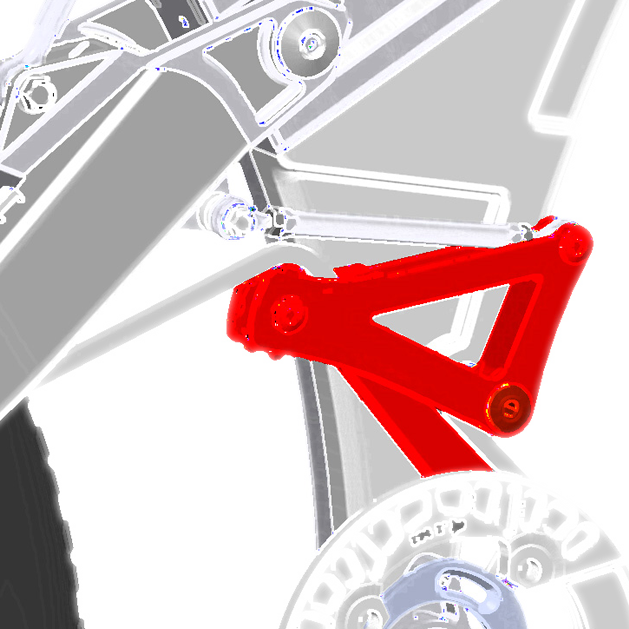 Instead of pushing the bike forward, a lot of energy goes into the suspension. Therefore many bike manufacturers came back to the original design and to a low pivot point were the pedaling does not affect the shock absorber but on the other hand a ‘hard’ and inefficient suspension results. The Swiss Mountain Bike manufacturer Redalp went one step further and opened a new era in bike drive train technology. 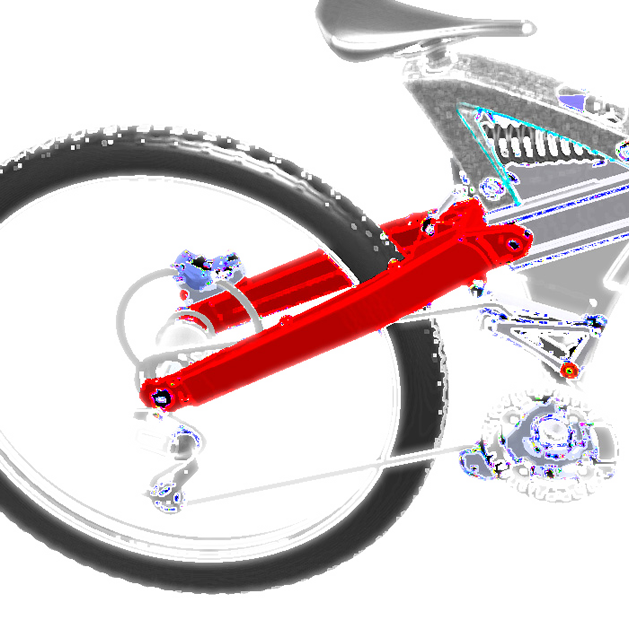 Redalp engineers put the pivot point higher to its optimal location for best rear suspension travel and solved the problem of chain growth and squat with an articulated jockey wheel. 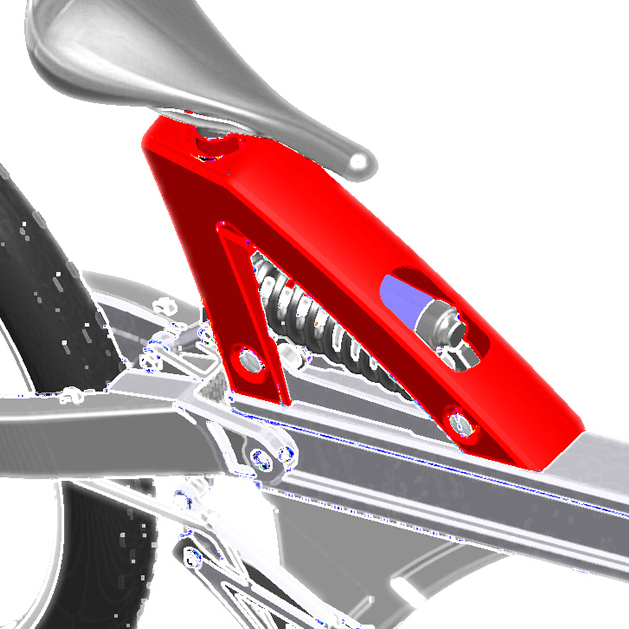 The pivot point became located right between the head tube and the rear wheel axel. A straight frame design saves weight, cost and is at the same time more rigid than a traditional frame. 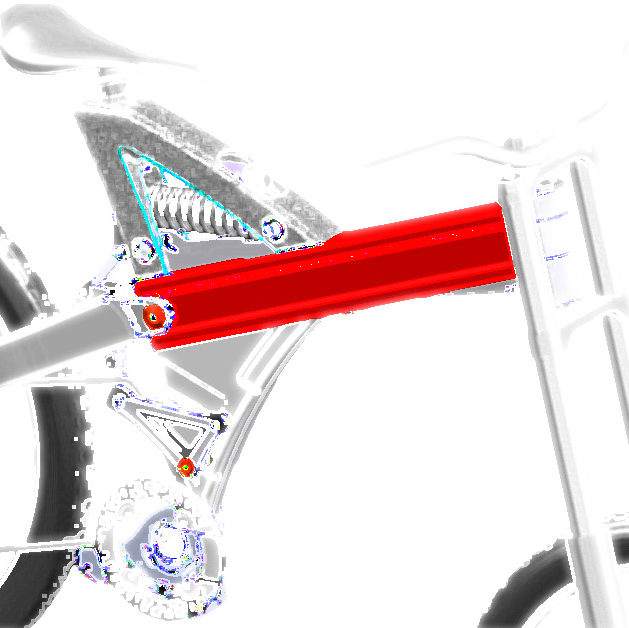 This innovative frame technology (pro-motion) is available on all Redalp Downhill bikes. The premium model ‘Replica DH’ as well as the more affordable ‘Team DH’ bike are based on pro-motion frame technology and are therefore lighter and stiffer than most of their competitors. Redalp offers them at a very competitive price. Source: Andy Wuthrich, Engineering Director Redalp Inc.